We’ve been updating the JBA Seed Potatoes website and it now boasts a new design by Kit Allen Ltd. There is some added functionality such as the advanced search and a streamlining of the basket and checkout process. 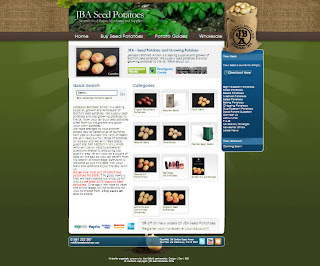 This site is updated regularly with content and new potato products and information so we hope 2010 will be another good year for the seed potato website.